The construction industry, like every other industry today, is changing greatly in the face of economic shifts and emerging technologies. There's a lot to know and a lot to keep up with, especially when it comes to specialized topics like construction liens. That's why it pays to have experts in the field. For more than 20 years, the Cobb Law Group has specialized in this kind of specific knowledge. Mark Cobb took a moment to answer some of our questions about liens and insurance specific to the construction industry. Duke Revard: Can you tell us a bit about who Cobb Law Group is? How did you get started, and how did you come to specialize in liens and bonds? Mark Cobb: After law school graduation, I took a job with a boutique construction law firm in Atlanta; the senior partner - who seldom allowed any other lawyers to have direct contact with his clients - came to me one day and said that he had a difficult client contact which he would "give" me; otherwise, he was going to let the client find another firm. The client contact wasn't difficult, but as the credit manager for a large material supply company, she knew exactly what she needed. As a new lawyer, I immediately recognized that this credit manager knew her industry and didn't want me to tell her what to do; instead, she wanted us to collaborate and combine each others expertise. We got along very well! When she moved to another supply company, I kept her original company as a client and I added her new company as a client. It continued this way (and it still does) until I had a complete client list of construction professionals. Duke Revard: What are the advantages of going with a company that specializes in the field? Are there any disadvantages? Mark Cobb: Companies that focus on one field tend to know that field very well; furthermore, they frequently know that field from different perspectives and changing environments. When clients hire a construction law firm such as the Cobb Law Group, they are hiring decades of experience, legal knowledge, and client satisfaction. We are not constantly reinventing the wheel; instead, we draw upon our past experiences with construction contracts, document drafting and interpretations, materialman lien collections, and bonding issues. In fact, it is very likely that one of our lawyers has seen a similar situation before. I suppose a disadvantage is that when other issues arise (such as a criminal issue or a personal issues such as an estate plan or a divorce), we usually refer our clients to other law firms that focus on that specialty. Duke Revard: Can you talk a bit about surety bonds and the ways that they specifically deal with the construction industry? 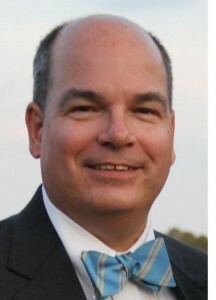 Mark Cobb: There are many types of surety bonds necessary in the construction industry. Our particular law firm deals with three types of these bonds almost daily: performance bonds, payment bonds, and bonds to discharge materialmen's liens. Performance and payment bonds are necessary (or should be!) in many private construction projects, but they are mandatory in most public works projects in Georgia, and they are the "life-lines" of the project in the event that something goes wrong. Bond to discharge liens, however, tend to be for the project owner's benefit and allow the owner to substitute collateral (the surety bond) for the real property in the event of a payment dispute. These types of bonds are a very effective tool for owners and general contractors. Duke Revard: You are known nationally to be leaders in "subcontractor law." What, exactly does that entail, and how did you come to be so well known for it? Mark Cobb: Although the Cobb Law Group represents project owners and general contractors, the bulk of our clients are subcontractors and material supply or equipment rental companies. Georgia construction law is complex, and each layer (owner, contractor, subcontractor, supplier) has separate and unique rights, responsibilities and remedies. Historically, that has all fallen under the subject of construction law, but projects have gotten larger and the dollars in dispute have increased; thus, there is greater need for specialization to understand and advise each layer. A couple of years ago, the ABA (American Bar Association) began working on the first national legal treatise on "Subcontractor Law," and I worked on this project, contributing the section on payment issues on construction projects. Since then, I have spoken on many topics including construction contract drafting, payment bonds, materialmen's liens, lien and bond waivers, and best practices for the construction industry; in addition, I have published several articles, and I am currently working on two books related to the subject. Duke Revard: Being an expert means you're up to date on the newest legislation and economic trends in this field. What's happening right now with subcontractor law? Any predictions on what we can expect in the coming year? Every geographical location is different, but in Georgia there are several huge construction projects going on which we anticipate will impact the industry in many ways. Since so many subcontractors and suppliers failed to survive the recession, these huge projects are taking up virtually all of the area's remaining specialty trade subcontractors and suppliers. This means that "regular" projects will be drawing their subcontractors and suppliers from other parts of the state (or out of state). Successful construction projects are often building upon relationships, and companies working in less-familiar environments with new customers will impact the industry. We anticipate more subcontractors and suppliers working in new areas with new personalities, which has a greater potential for communication issues, different business cultures and unanticipated costs and delays. Payment and performance bonds on these projects could certainly help! Duke Revard: You're known to be experts on materialmen's liens. Can you explain what that is and why it's important? Mark Cobb: Materialmen's liens are a unique phenomenon in our county's laws. Construction services generally "improve" the value of the real estate where the project is located. When somebody provides labor, materials, equipment or services to a construction project and they are not paid, then the mechanics and materialmen's laws allow the unpaid construction professional to place a "lien" against the real estate where the project is located; thus, the real estate becomes collateral for the unpaid services, labor, etc. If necessary, the lien claimant can foreclose the lien, sell the real estate and recoup their losses. Contractors are prohibited from filing liens against public works projects; thus, they are required to have payment bonds. These insurance policies provide the collateral for unpaid materials or labor. Duke Revard: In the construction industry, how should a company select the right bond? What's the minimum coverage they should have? Mark Cobb: Construction industry bonds are similar to any other insurance product; customers should seek a surety with a high rating from one of the ranking firms; plus, in this environment, we encourage our clients to work with sureties who have specialized knowledge of construction and those with whom they can build a long-term working relationship. The surety and the contractor are, essentially, doing business together, and by working together, they can improve each other's bottom line. The size of the insured project(s) covered by the surety governs the minimum coverage they need, and there is a balancing act between the size of project which a specific contractor can successfully perform and the ability to take on larger projects. Working together, the surety and the contractor can best evaluate current and future coverages as the subcontractors attempt larger and larger projects. Duke Revard: What are some of the biggest challenges facing construction currently? 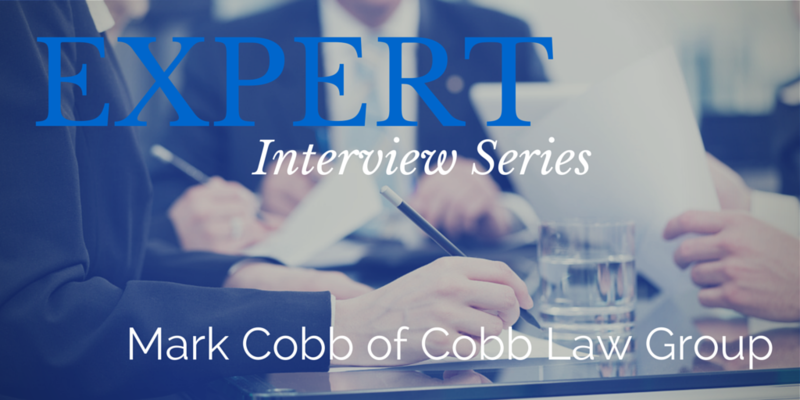 How does Cobb Law Group help them overcome those challenges? Mark Cobb: Right now, the construction industry is working on extremely narrow profit margins; accordingly, one unsuccessful project can destroy the business. Litigation is certainly one of those unanticipated, substantial costs. We strongly advise our clients to take every measure to mitigate these damages, including (i) regular contract reviews, (ii) improved documentation, (iii) know and meet all contract deadlines for providing notices, (iv) involve a competent construction attorney to assist even in informal resolution of the problem, (v) seek novel, out-of-the-box solutions to the problems, (vi) encourage mutual cooperation in resolving issues, and (vii) consider fast-tract methods for alternative dispute resolution. 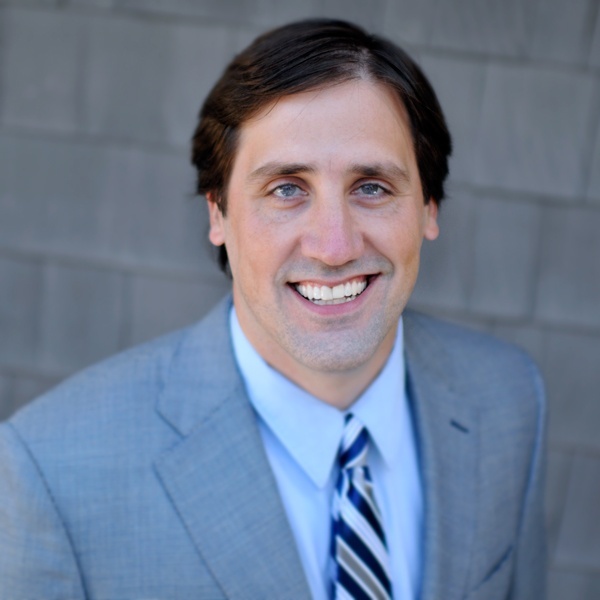 Duke Revard: Cobb Law Group are known to be long-term partners, working with clients for long periods of time. What do you learn from having these long relationships? Mark Cobb: Trust - and that works both ways! Clients come to trust our advice and understand the value which we bring to their projects. There are some clients, for example, that involve us in every project so we are better able to help them more quickly in the event of a problem. For us, it's easier to represent a client with whom we have a solid history because we know their professionalism, their business practices, and their internal policies, which give us greater and greater assurances about their claims and abilities. In fact, this type of trust can ultimately lower legal fees for our client. In addition, we mutually educate one another so that, hopefully, they learn something about their legal rights, which can eradicate potential problems, and we learn their unique business model and, frequently, their unique construction specialty as they learn about the law and the legal consequences of their decisions. Duke Revard: What are some trends or developments you expect to see, both in the fields of construction as well as with subcontractor law in the coming year? Mark Cobb: We continue to see more and more design-build contracts alleviating the need for an architect or engineer, and this is leading to more specialization within the construction industry. More and more companies base their business on one type of construction process or unique building material which offers them competitive advantages but requires them to stay vital in a constantly changing market. Historically, there were a number of specialty trade subcontractors who were great constructors but lousy business people; that is beginning to change as smaller businesses are adopting better business practices. In addition, there are several attempts in the Georgia legislature (and elsewhere) to strengthen subcontractor's construction lien rights and to help them get paid more quickly (e.g., Prompt Payment Acts), which we actively support. For more news and expert info on the many different aspects of construction liens, like Cobb Law Group on Facebook and follow them on Twitter.